jazztruth: Viewer Mail 3: Voicing? Thank you for this wonderful post! I discovered James' playing through one of my favorite Greg Osby albums, "Art Forum". You can find many uses for the top part of this voicing. It sound great as a rootless voicing on the left hand. 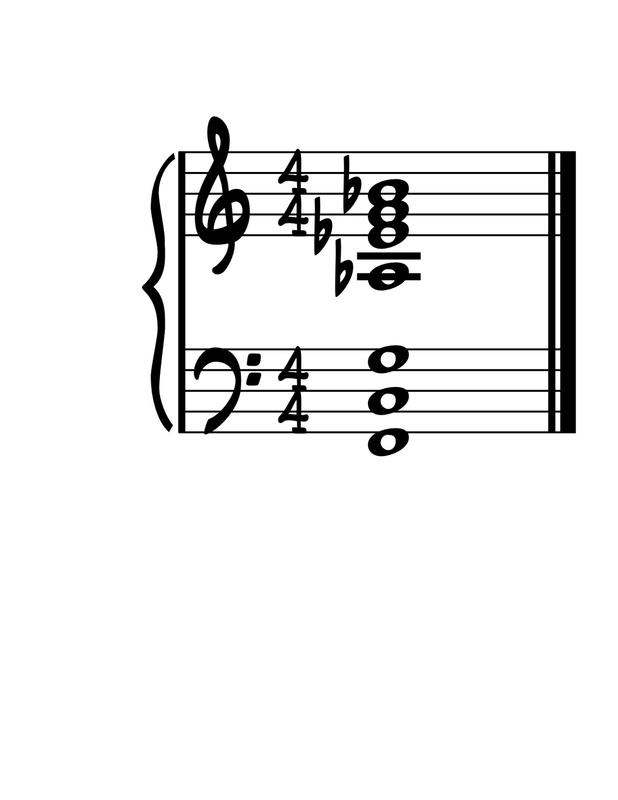 Stefon Harris uses this voicing, except he will put E in the bass, so it becomes a meatier version of Eb/E. Let me know how you like these. I think it's good to have some pre-determined voicings, but if you read my interview with Kevin Hays, he talked about his use of scales in order to be more free in terms of generating new voicings all the time. 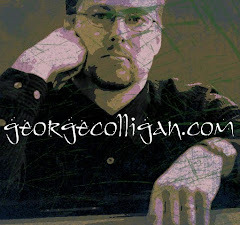 My advice is to consult things like The Jazz Piano Book, or Dan Haerle's Jazz-Rock Voicings for the Contemporary Keyboard Player, and learn the rules, but then always look for ways to break them. The possibilities are infinite! Awesome! Thanks for the response, and the variations! For Stefon Harris' variation, did you mean that it spells Eb/E and not E/Eb? 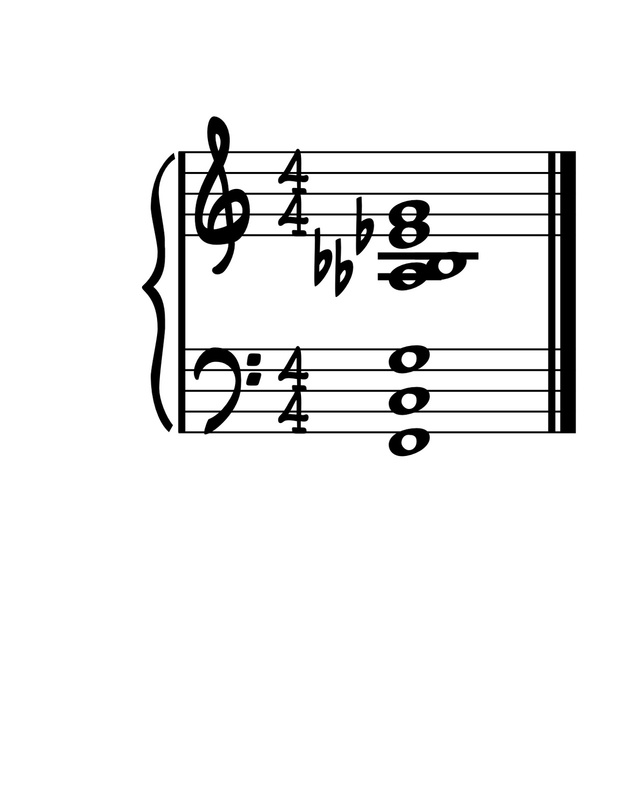 What scale are you associating with that last chord? Ab harmonic minor? zibalatz-thanks for the correction. Yes, Eb/E. 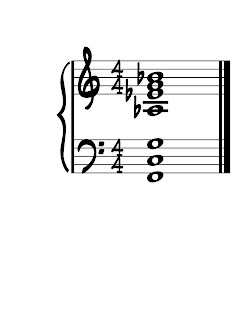 Ab harmonic minor could work, or you could think this scale: Ab Bb B C D Eb E F# G. I might have to blog about that one as well.....actually, if there wasn't an Ab in that voicing, you could use diminished scale. But like I said, rules were meant to be broken, so you could try diminished as well. E F# G A Bb C Db Eb E. Or maybe make up a scale. Yes, I said make up a scale. I wrote a piece for the NSO Chamber Orchestra based on voicing #2- always been a fave of mine. I like it with the C and/or B natural in the bass too. Nice post. I believe Levine called the stacked fifth voicing (your first example without the doubled ninth in the right hand) the "Kenny Barron voicing". "Make up a scale"- musicians don't seem to realize the many untapped scales that are possible. Dr. Zlotnik, who was a Schillinger disciple, taught us how to arrive at these scales just by combining the 4 common tetrachords and it was shocking how many of these scales sounded musical though utterly uncommon. Also interesting were the resulting scale tone chords that resulted. So George's advice is excellent- make up a scale and let your ear be your guide! oh don't get me wrong, i'm all for ears being the primary guide and everything else being secondary. 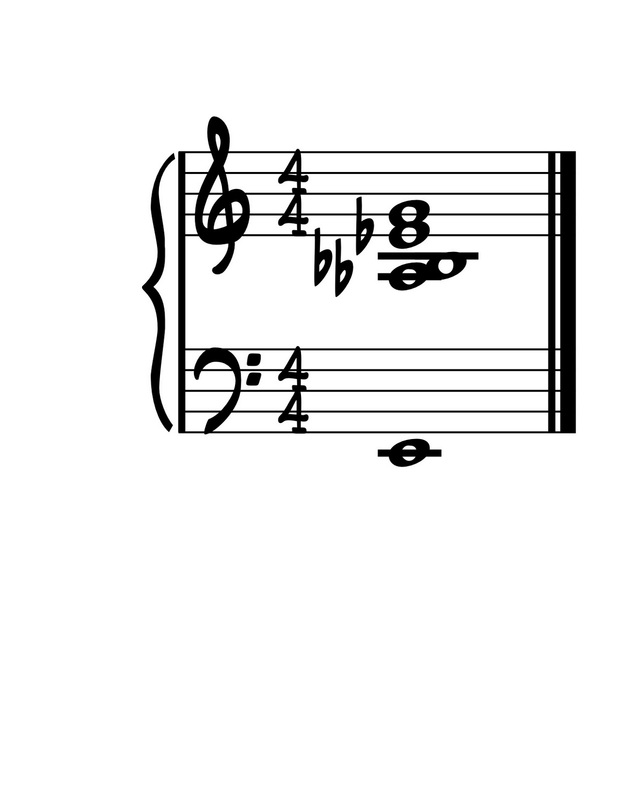 the choice of ab harmonic minor came from identifying the notes that sounded "good" to me within the context of that chord, then only afterwards determining what the resulting scale was. When I took a lesson with Clare Fischer he said "the only relevant scale in Jazz is the chromatic scale." Love it! I use the one you called a "geri allen" voicing all the time. 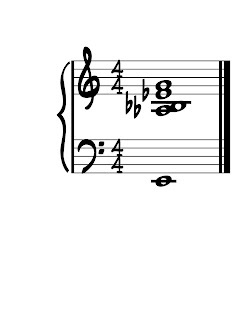 wow such a beautiful full sounding mistery chord,Im trying to implement my chord arsenal,I always played left hand bass and only right hand chords ,Im getting into ful sounding 2 hand chords. if you know a place to find fat chords with letters..I forgot to read music,I can do it but takes me ages! I play nice chords and compose but just by chance I ahve no idea what Im doing usually. Passages Malibu HelpOakville Real Estateh don't get me wrong, i'm all for ears being the primary guide and everything else being secondary. 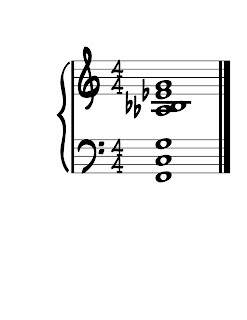 the choice of ab harmonic minor came from identifying the notes that sounded "good" to me within the context of that chord, then only afterwards determining what the resulting scale was.